Easily fly 160 acres in less than 15 minutes. 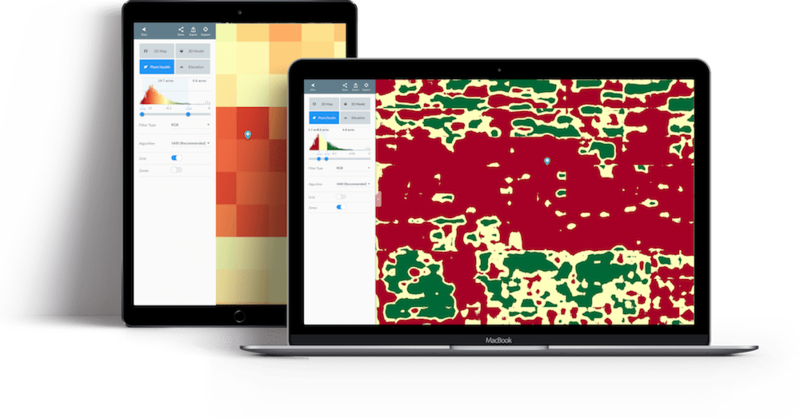 Spot variations and problem areas with NDVI, VARI, and more. Minimize crop loss and boost yield with rapid intervention. Crop scout and ground truth without leaving the field. Image stitching solution to map uniformed sections of farmland. Integrate your ag software and access 70+ apps in the App Market. 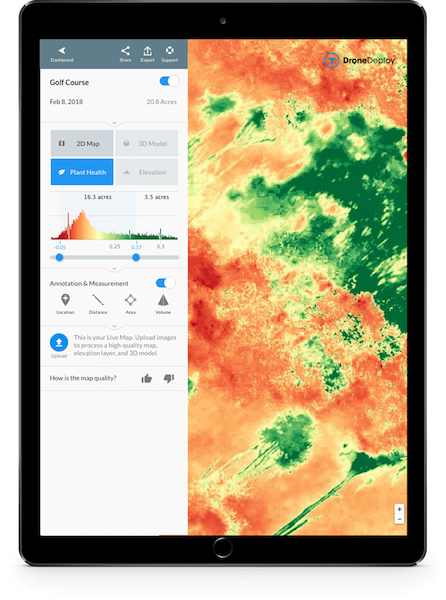 Capture field images and generate maps. Combine the data and analytics you need to succeed. Drive down costs and increase profits by avoiding crop loss. We’re a family-owned seed company here in central Indiana, and we have a keen interest in drones and the use all the way from production through helping our customers be more profitable. We’re really excited about the actionability of these maps - it’s a great growth point for agriculture. Live Map is the ultimate current-condition crop scouting tool. 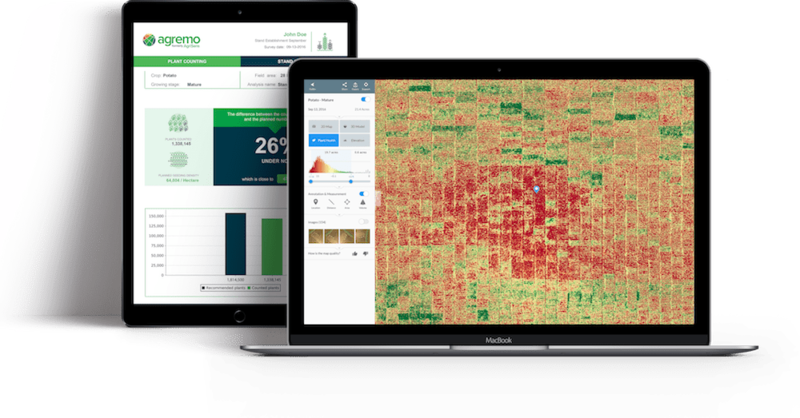 DroneDeploy developed the leading processing algorithm customized for agriculture. I printed off the report and met him at edge of field. We walked out and ground-truthed the map and he was very impressed. I handed him the map and he was making a decision right from there. Real-Time Live Map - Offline crop health analysis to view plant health without having to leave the field. Read the pricing package details (PDF). 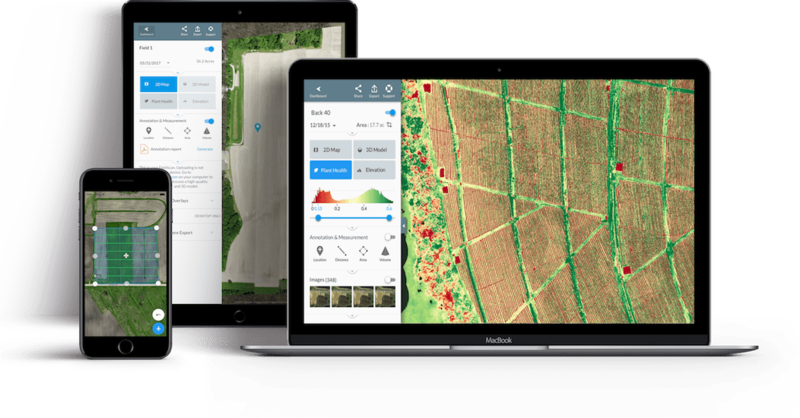 Download field boundaries from flight plans and import directly into SLANTRANGE analytics software for automatic cropping of maps. Determine the number of lost plants in a field, as well as the economic impact and the field’s potential yield at harvest. Identifies and measures areas of damaged crops caused by unexpected disturbances to your field for crop loss claims and adjusting inspections. Set the correct altitude and overlap for great mapping results with your Sentera modified DJI drone. Streamline agriculture workflows within the FieldView platform. Merge aerial data from drones, satellite, and manned aircraft.